As a cherished member of your family, your pet deserves quality veterinary care. When you bring your pet to Trinity Pet Hospital in Laguna Hills, you can rest assured he’s in the best of hands. We offer a wide range of veterinary services to care for your dog or cat. Quality services combined with caring personnel make us your number one choice for veterinary care. Working with an experienced, compassionate vet will make a marked difference in your pet’s care. With over 20 years of experience in the veterinary field, Dr. Kerolos, your Laguna Hills veterinarian, specializes in pet dermatology, soft tissue surgery, eye surgery, and internal medicine. His genuine concern for animals is evidenced by how he treats each pet patient with kindness and respect. He and our team are fully committed to your pet’s health, safety and welfare when under our care. If you’re new to pet parenting, we offer expert counsel and advice on caring for the newest member of your family. You can glean valuable tips on animal care from our blog or by consulting with your Laguna Hills vet. 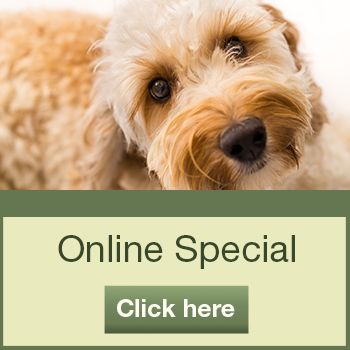 Our goal is to develop a lifelong relationship in helping you care for your beloved dog or cat. Preventative Care – Keeping your pet healthy is our number one priority. Through such services as wellness exams, vaccinations, spay/neuter procedures, pest and parasite control and microchipping, we can protect the health and welfare of your pet. Dental Care – Your veterinarian in Laguna Hills offers annual dental checkups, dental cleanings, and dental services to optimize your pet’s oral health. Healthy teeth and gums will contribute to your pet’s overall health. External/Internal Medicine – Our veterinary team provides a variety of external and internal treatments to enhance the health of your pet. These include diagnosis and treatment of ear infections, skin problems, external injuries, kidney failure, lung and liver problems, cancer, urinary tract blockage and infections, digestive disorders and more. Surgery – Dr. Kerolos is fully capable of performing all manner of pet surgical procedures to include spay/neuter surgery, orthopedic surgery, eye surgery, tumor removal and emergency surgeries that may arise. Home Care – We offer nutrition, exercise, and behavior counseling to help your pet stay healthy and happy for years to come. When it comes to your pet’s health, don’t settle for anything less than the best. Contact Trinity Pet Hospital at 949-232-1788 today for quality veterinary care.